The Hamilton Cycling Committee wants your best photos of cycling in Hamilton for use in display materials that will promote Hamilton as a great cycling destination. 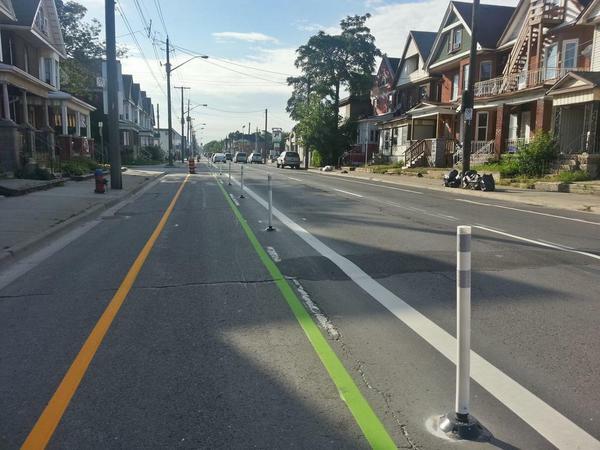 There are a lot of great cycling developments happening in Hamilton right now and you can help the Hamilton Cycling Committee to get the word out about them. Each year, members of the Hamilton Cycling Committee attend events such as the Toronto International Bicycle Show, the Paris to Ancaster Bicycle Race and other local events to promote cycling in Hamilton. This year, there is an opportunity to partner with Tourism Hamilton to create a display board highlighting the best cycling that Hamilton has to offer which will be used by Tourism Hamilton and the Hamilton Cycling Committee. Please help to develop these resources by sending any photos of cycling infrastructure, group cycling shots, or great cycling spots to Daryl Bender at email daryl.bender@hamilton.ca. Dan Botham is a long-time Hamilton resident with an interest in advancing state of cycling in Hamilton. He is a member of the Hamilton Cycling Committee. When they get their submissions, I wonder if they'd make them available for all to see?